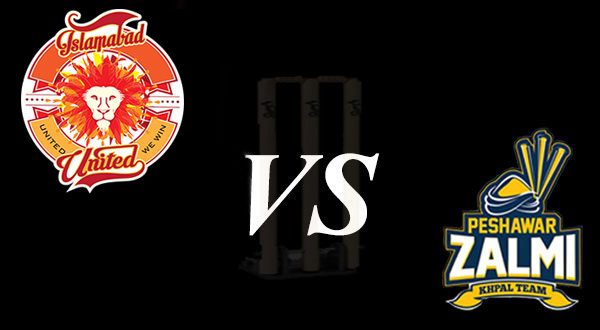 The opening match of the second edition of Pakistan Super League would be played between defending champion Islamabad United and Peshawar Zalmi at Dubai International Cricket Stadium on Thursday night. The glittering ceremony will start the second edition of the tournament including Pakistani stars Ali Zafar, Shehzad Roy and Fahad Mustafa as well as internationally renowned artist Shaggy the Jamaican reggae fusion have vowed to deliver a spectacular performance at the opening ceremony at 6:30 pm UAE time before the match. The PSL comprises of five franchises namely: Islamabad United, Lahore Qalandars, Karachi Kings, Peshawar Zalmi and Quetta Gladiators. These teams have a blend of international and local stars along with a group of youngsters, providing fans with an action packed cricket bouquet. PSL Chairman Najam Sethi has announced Lahore as the venue for this year’s title clash. If they are able to organize the final successfully and incident-free, it may well pave the way for the return of international cricket to Pakistan. Final will be on March 7. PSL’s brand ambassador Ramiz Raja said fans will be able to enjoy some cool new technology which will make their PSL experience even bigger and better than before. Fans in the stadium will be given gadgets which they can use to vote for or against a run-out before the third umpire’s decision shows up on the screen. Ramiz Raja also unveiled the green and maroon caps that will be handed out to the best batsman and the best bowler in the tournament, respectively. The first match of the Pakistan Super League would be played between Islamabad and Peshawar, the match would start at 9:00 pm according to Pakistan standard time (PST). Islamabad United had won the first edition after beating Quetta Gladiators in the final. Peshawar Zalmi is entering the tournament with Darren Sammy as captain instead of Shahid Afridi whereas Islamabad United has seasoned Pakistani skipper Misbah Ul Haq as its captain. Islamabad United clashed with Peshawar Zalmi thrice in last year’s PSL, out of which Zalmi won two and United won one match. Peshawar Zalmi won the first clash by 24 runs and the second by 7 wickets. In the third face-off between the two teams, Islamabad United won by 50 runs in the playoffs, eliminating Zalmi from the tournament. Islamabad United squad 2017 has been 2nd for the inaugural season of Pakistan Super League. The squad of Islamabad United includes a total of 20 players (7 foreign and 13 local players). Wasim Akram is the director and bowling coach while Dean Jones has been hired as the head coach. Peshawar Zalmi squad 2017 has been finalized for the 2nd season of Pakistan Super League. The squad of Peshawar Zalmi includes a total of 20 players (7 foreign and 13 local players). Mohammad Akram is the Head Coach & Director while Andy Flower is the Batting Coach for Peshawar Zalmi.